If you’ve been burned by a defective electric blanket or other similar household product, call Carr & Carr Attorneys today at 877-392-4878. Numerous complaints regarding potential fire hazards have been made to the Consumer Product Safety Commission (CPSC) concerning the Biddeford Electric Blanket. 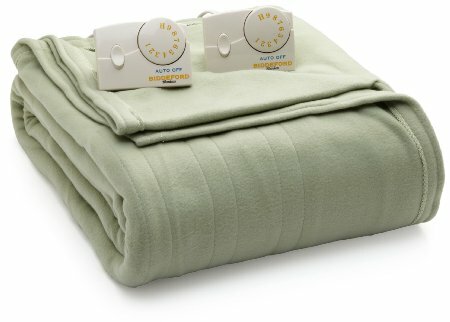 Sold by major retailers such as Kohl’s, JCPenney and Target, Biddeford Electric Blankets come in several models, and retail for anywhere from $29.99 to $69.99. While they may keep you warm and cozy, these blankets are known to pose a substantial risk to both you and your home, a risk of which potential consumers need to be aware. There are numerous reports of malfunctions regarding the Biddeford Electric Blanket on the CPSC website, www.SaferProducts.gov. These reports range in severity from concerning to hazardous. One consumer who had purchased the Biddeford Blanket Model 0BG04 reported coming home from an evening hockey game to the smell of smoke. Upon entering his bedroom, he found his wife, who had fallen asleep using the blanket with the setting on high. When he went to unplug it, he found his side of the blanket was nearly on fire. Another report came from the mother of an 11-year-old girl. Much to the mother’s horror, the Biddeford blanket she had purchased several years prior caught fire while in use by the daughter’s friend during a sleepover. Miraculously, the girl was uninjured. The problems concerning electrical fire hazards associated with the Biddeford Electric Blanket have been ongoing for more than 10 years. Despite a 2002 recall of close to 400,000 of these blankets due to poor electrical contacts, they remain on the market and continue to pose a risk, with many consumers unaware of the danger. If you’ve been injured or hurt because of a Biddeford Electric Blanket or similar dangerous product, please contact the personal injury attorneys at Carr & Carr. We might be able to help you receive compensation allowed by law for damages or injuries. We work with individuals and families across the United States who have been hurt by dangerous products. It doesn’t cost you anything to call and talk to an attorney to see what options you have. Please be aware that persons hurt by a dangerous product have only a limited period of time to settle claims or file lawsuits for damages. Those limited periods of time are determined by various state and federal laws. Failure to have all claims settled or all possible wrongdoers properly sued in court within the deadlines allowed by the appropriate state or federal laws will result in the loss of important rights. The loss of those rights includes the right to claim damages for injuries. Other rights will also be lost. Please contact us if you intend to pursue your rights to claim damages permitted before these deadlines pass.